After spending 10 days in Georgia with our families, it was time to get back in the RV and start heading west. Last year we made the rookie mistake of trying to head west through tornado alley – during tornado season. 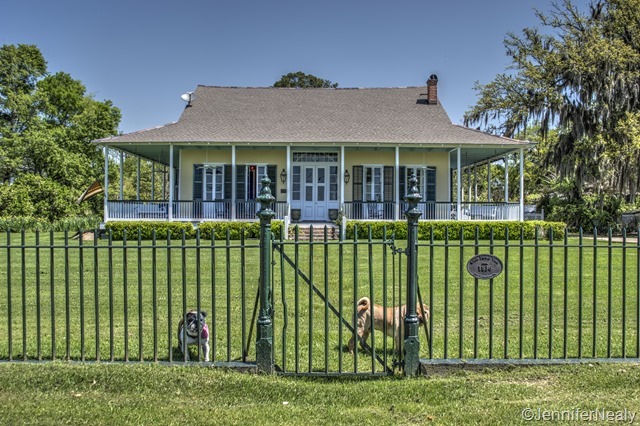 So this year we decided to take a more southerly route and our first stop was in Mandeville, Louisiana. 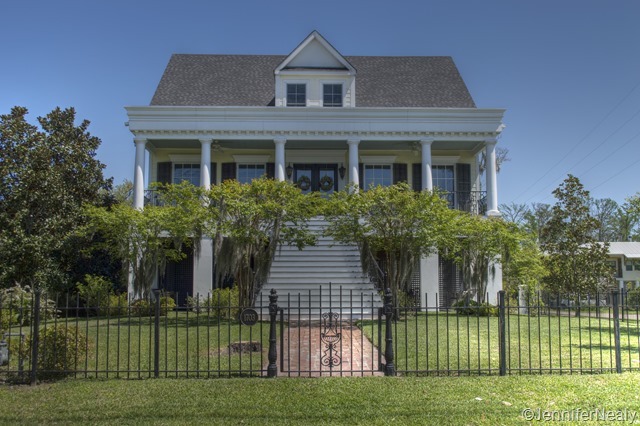 Mandeville is my hometown – I lived there from 2nd grade until I graduated from high school. My parents don’t live there anymore, and most of my visits to Louisiana over the past 20 years have been to New Orleans. 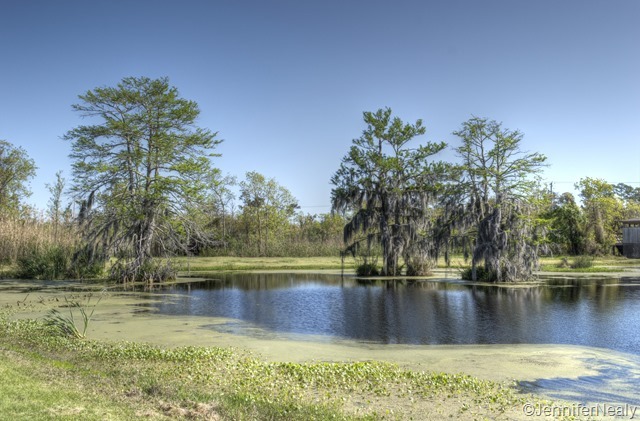 But this time we decided to forgo the big city and stay in the lovely Fontainebleau State Park which is right in Mandeville. When my family first moved to Mandeville in 1977, there was one stop light in town, and no fast food. And to make a phone call you only had to dial 4 digits! Well, Mandeville has certainly changed since then, and it’s changed significantly since I left in 1989. What used to be a sleepy suburb of New Orleans is now a very busy and populated area. I was channeling my inner old-man the whole time we there – I was driving Deas crazy with comments like “This used to be just a two-lane road, with nothing but trees on it!” and “Hey, look, there’s the bowling alley that we used go to for midnight bowling!” And at least a hundred times I must have said “Oh my gosh I can’t believe how different this is!” He was somewhat patient in allowing to drive slowly through my old neighborhood and all my old stomping grounds. While we were there I was able to get together with some of my old friends who live in town. We had a delicious dinner of BBQ shrimp at Kim and Kevin’s house, who, by the way, will be taking an extended RV trip themselves later this year. We got to tour their RV and we’re really hoping to meet up with them somewhere out west later this summer. We also had a great dinner with my friend Emily, and lunch with my friend Holly. I’ve known all 3 of these girls since we were elementary school! Unfortunately I neglected to pull out my camera during any of these visits! 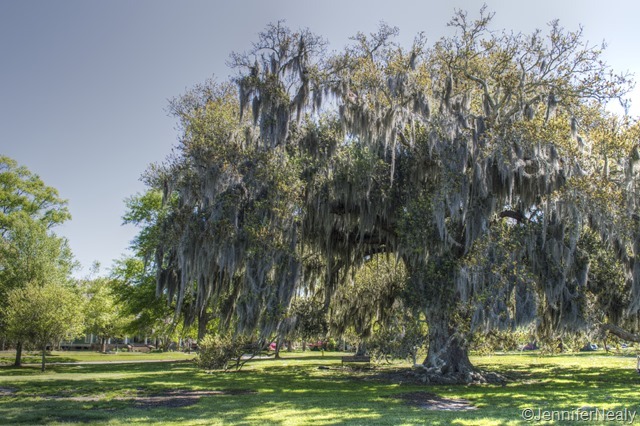 One of my favorite things about Mandeville (or southern Louisiana in general) is the beautiful live oak trees with Spanish moss hanging on them. And lucky for me Fontainebleau State Park is full of them! 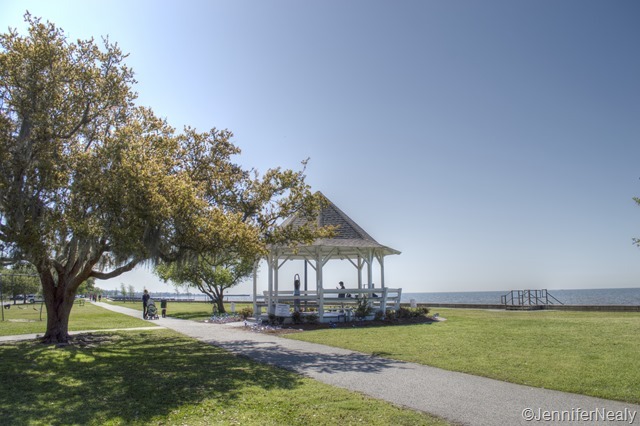 Mandeville is on the north shore of Lake Pontchartrain, and the park is right on the lake front. The campsites don’t have views of the water, but there are several hiking trails throughout the park, some of which are on the shoreline. 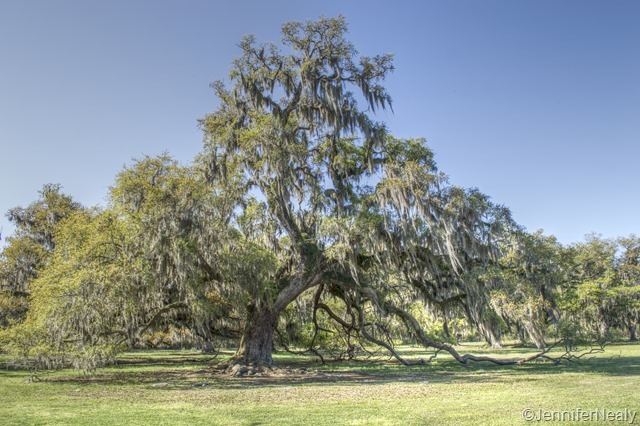 The park is on the grounds of a former sugar mill that was built in 1829 by Bernard de Marigny de Mandeville, who also founded the town. 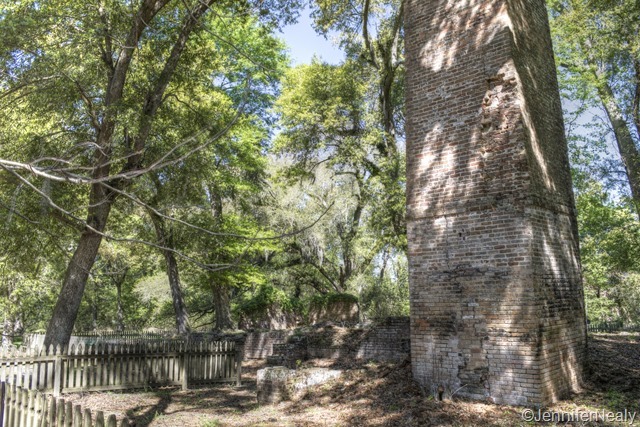 It was in operation until 1852, but all the that remains of the actual mill now are a few columns of bricks. 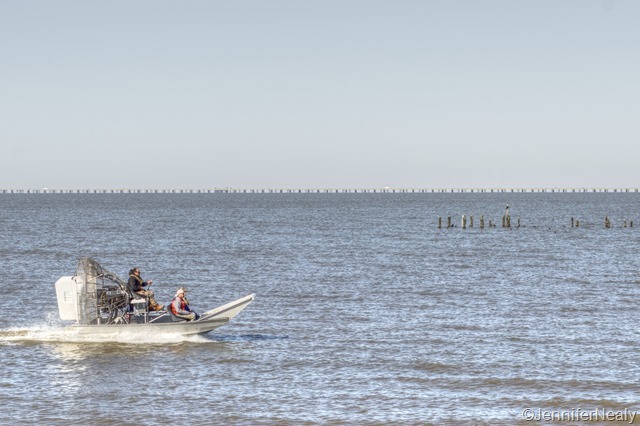 There is a large fishing pier in the park, and while we were out there, we saw another sure sign of Louisiana – a very noisy air boat. 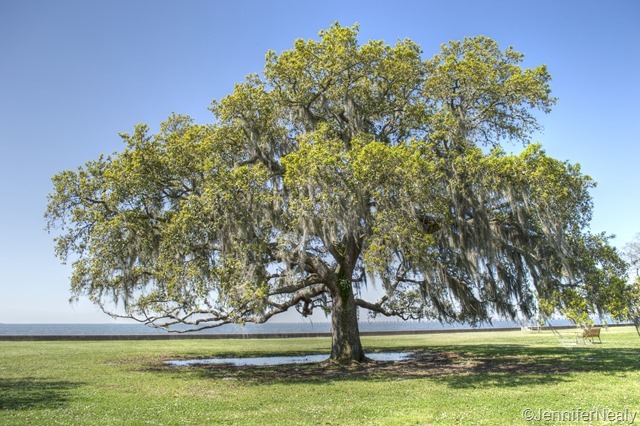 One interesting little tidbit about Mandeville is that it is home to the Seven Sisters Oak Tree, which is certified as the largest Southern Live Oak tree in North America. It sits on private property, and as a child we used to ride our bikes to look at it and marvel at its size. Because it’s on private property, I couldn’t get close enough this time to get a great picture – but trust me – this tree is massive. If you look closely in the picture below behind the purple bush, you can see how the limbs actually touch and then curl up off the ground. It’s beautiful and has always been a symbol of home for me. 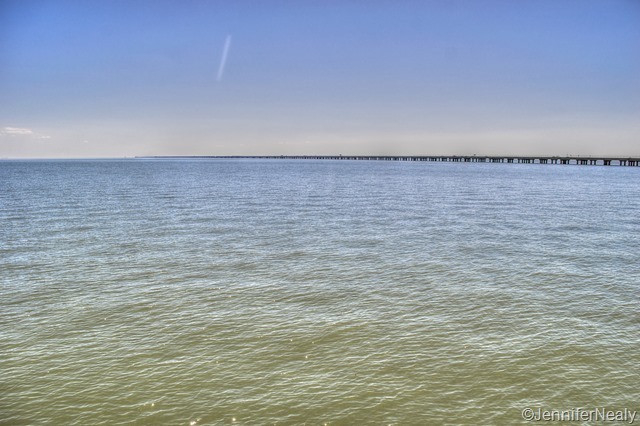 Another claim to fame for the area is the Lake Pontchartrain Causeway Bridge, which at 24 miles long is the longest bridge over water in the world! It’s also how you get to New Orleans from Mandeville, so if you live in Mandeville, chances are you drive this bridge a lot. 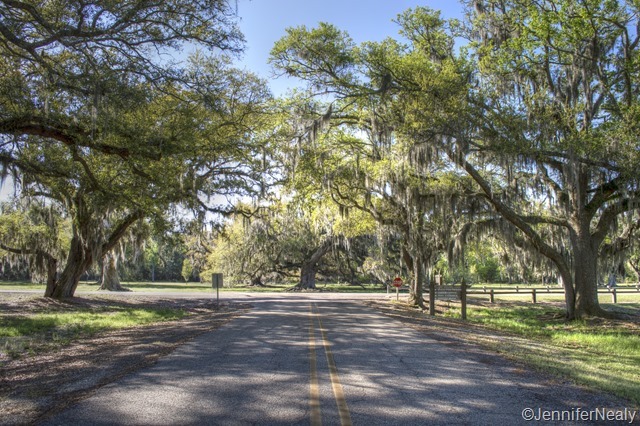 Another nice feature of the state park is that it has access to the Tammany Trace, a 31-mile rail-to-trail conversion for bikes and pedestrians. 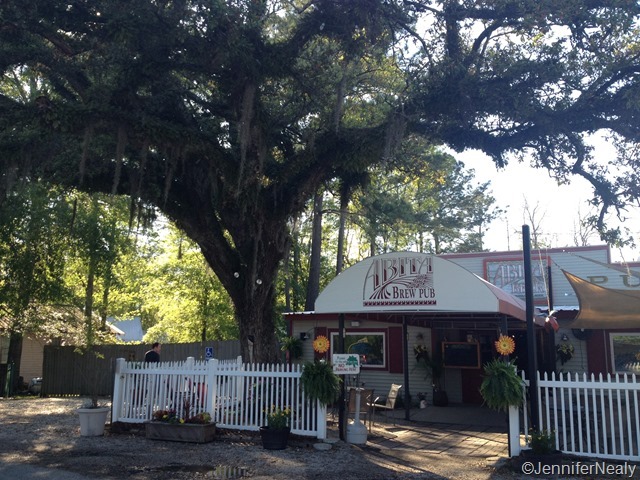 One day Deas got on his bike and rode to the nearby city of Abita Springs, where I picked him up and then we both enjoyed a beer at the Abita Beer Brew Pub. 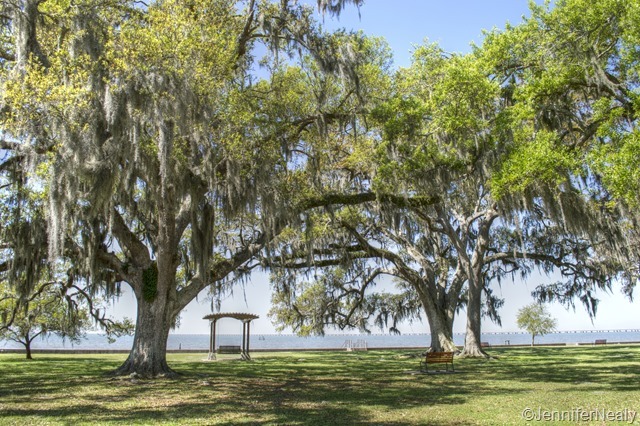 Another morning we took a long walk along the lakefront which has a paved walking trail, more live oak trees, and beautiful lake front homes. 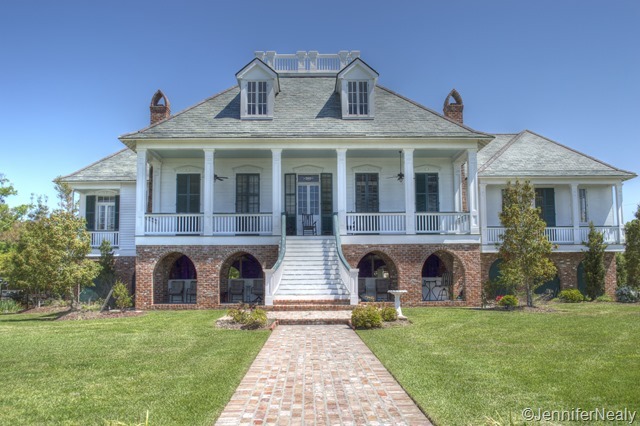 I’ve always loved the lakefront and the architecture of these stately old homes. And last but certainly not least – we had some fantastic food while we were there! 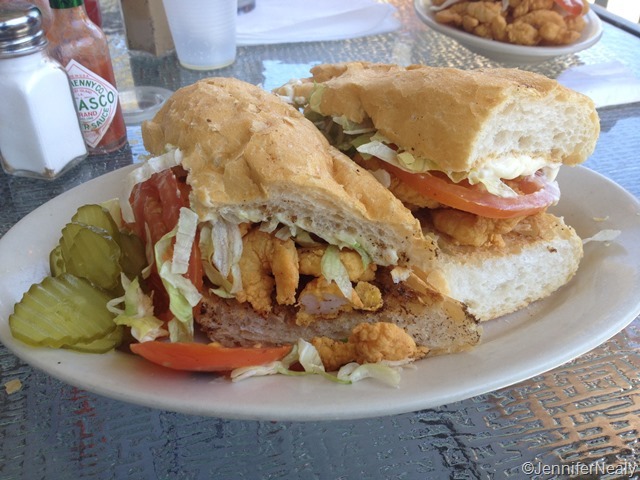 I had to make sure to get two of my all-time favorite items – a shrimp po-boy and a snoball. Soooo yummy! 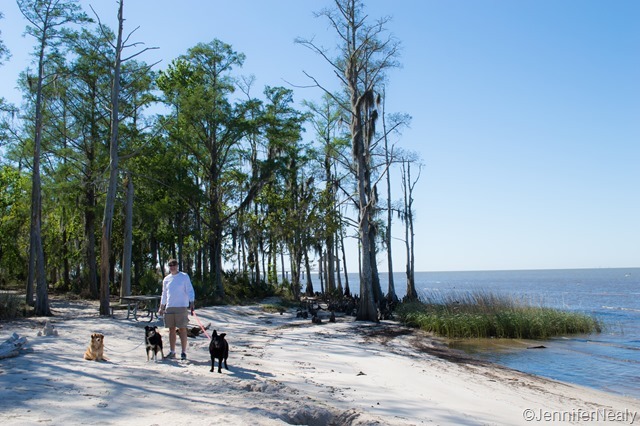 Park Review: We loved Fontainebleau State Park! The sites were large and level, and had water and 30/50 electric hookups. A few sites have sewer also. 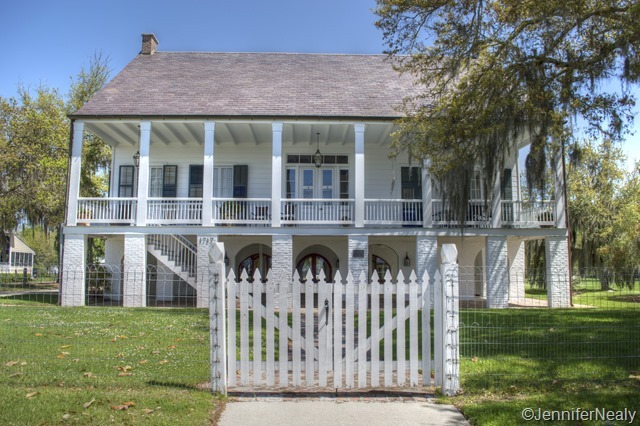 If you’re visiting New Orleans it’s a bit of a long drive, but if you want to be on the north shore, then this is the place to stay. 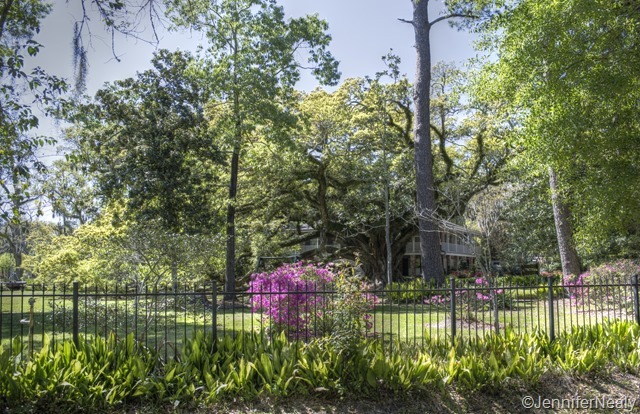 The scenery, hiking trails, access to the Tammany Trace, and easy proximity to Mandeville all made it a great place to stay. 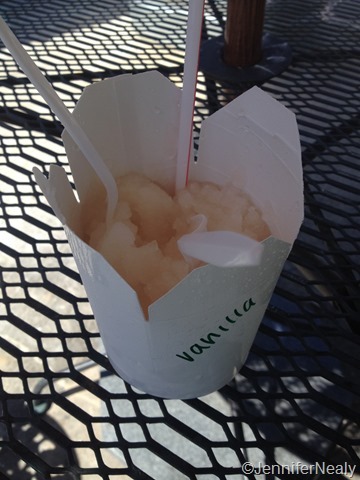 There are lots of great little restaurants in old Mandeville that are also easily accessed by the Tammany Trace. I hope you enjoy your visit when you go and if you want any specific recommendations let me know! What a wonderful tour of Mandeville, Jen. Sure made me homesick as always.. 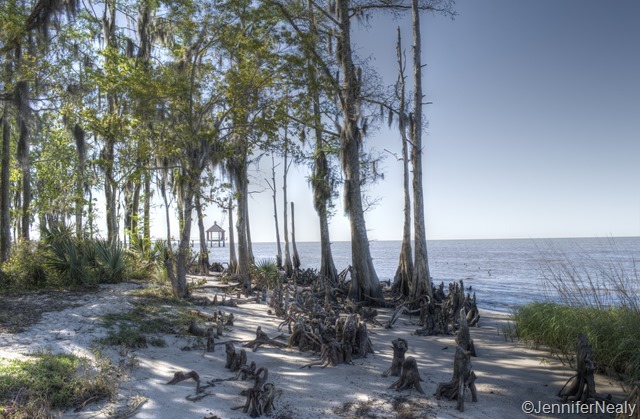 I see many of the homes are on stilts now, but nicely done so as not to be obvious. Did you see if Rip’s restaurant and motel is still there? I had some crazy times with my sailboat racing friends there. You did a great job on this update, the photos and commentary really give the feel of such a special area. Thanks! Rip’s was destroyed in Katrina. It has been rebuilt, but it is completely different. It’s now a large, nice restaurant built on stilts. Absolutely nothing like it used to be! We ate there about 5 years ago when we were in Mandeville, but didn’t go this time. If you google it you can see pictures of what it looks like now. 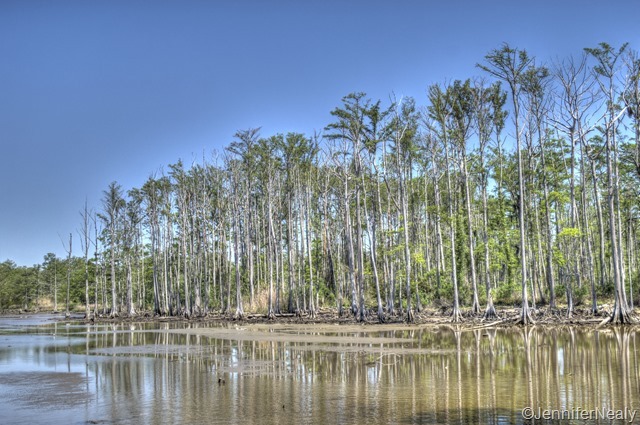 We camped and rode bikes there many times over the years when we lived in Pensacola. You’re right, that area has grown tremendously over the years, which is always sort of sad to see. 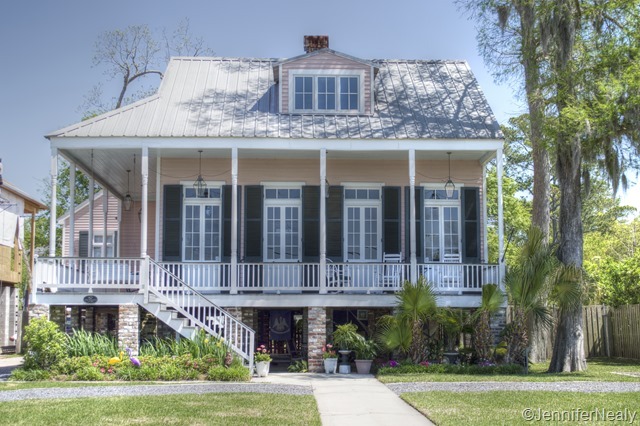 Still a peaceful place to stay and not too far to make a day trip to New Orleans. Is the water still horrible smelling/tasting? Are you referring to the water at the campsites? If so, no the water smelled and tasted fine. The water in the lake itself still looks pretty mucky. Glad you enjoyed the park also!